The 50 so-called ‘exo-planets’ were discovered using a telescope that is found in South America. Because exo-planets are so far away, they are too small and dark to photograph. Instead, the telescope looks for exo-planets using a nifty trick: by carefully watching to see if stars wobble! This is because stars feel a small tug from a planet’s gravity, which makes them wobble ever so slightly. By looking at a star’s wobble, astronomers can work out how many exo-planets are in orbit around it and how heavy they are. After studying all of the planets discovered with this telescope so far, astronomers have found that nearly half of stars that are similar to the Sun have at least one planet that is lighter than Saturn. And out of the 50 exo-planets that have just been discovered, 16 of them are called super-Earths, which means that they weigh between one and ten times that of the Earth. 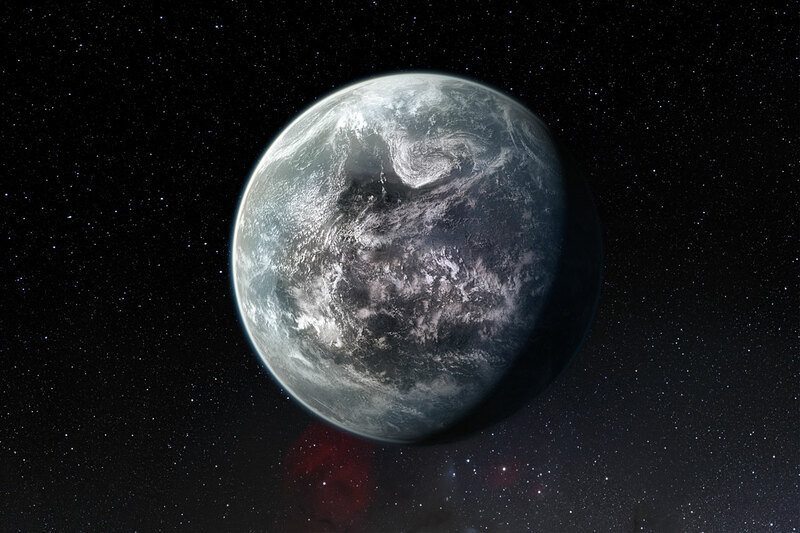 One of these new super-Earths is particularly exciting because it lies at the right distance from its star to have liquid water –it’s not too far away to make water freeze and not too close for it to boil away. This planet looks like a world where we could find alien life! Cool fact: With these extra 50 worlds, more than 650 exo-planets have now been discovered! But there are many, many more waiting to be found! This is a kids version of ESO Press Release eso1134.